Small to mid-size business understand that to stay competitive in an ever changing and challenging marketplace, communications with your customers is a number one priority. Lou Man Entertainment / Media understands today's challenges and is providing mobile web services to help give your company that competitive edge. Our smart phone web designs and apps provide business specific solutions that address the needs of consumers on the go. We make it easy for your customers to stay connected to your business. Why is having a separate mobile web site important? Today's consumers are constantly on the go. They are looking for information quickly and do not have the time or patience to find the information they are looking for with a standard website on their phones. Additionally, most standard web designs display very small, even on larger smart phone screens. Our mobile designs meet those challenges by providing the most important information that will fit on a smart phone screen... 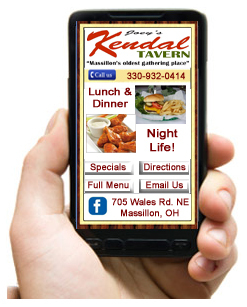 Directions, Call Button, Business Hours, Menus, Daily / Weekly Specials, Comparing Prices, etc. As every business is different, customer needs vary. That is why we take a customized approach to matching your business objectives with mobile consumers needs. - Do they need directions or GPS coordinates to find your business? - Are they looking for the best lunch specials in their area? - Do they want to call to make an appointment? - Can they purchase what they need immediately using their phone? We work with you to understand your customers needs and how they may purchase your products or services using their mobile phone. What other ways can my business take advantage new mobile technologies? There are several ways to improve your presence in today's mobile market. One is improving your social networking presence via Facebook, Twitter and YouTube. 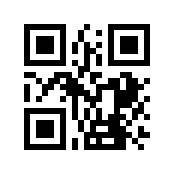 Another is the use of QR Codes. These are the crossword puzzle type codes that can be scanned with a smart phone app to view your web site, call your business phone, send email and other applications. Scan This Code To Call Us!